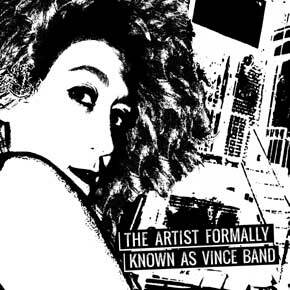 A brand new 7″ for Chicago based The ARTIST FORMALLY KNOWN AS VINCE BAND! 2 songs produced by Ivan Julian of RICHARD HELL & The VOIDOIDS on New York’s Lower East Side. Both male and female vocals always work well for The ARTIST FORMALLY KNOWN AS VINCE BAND, “Chaperone” is a cool 70s punk rock’n’roll song, and “Hold Tight” is a catchy tune reminding of The HEARTBREAKERS and The RAMONES. This 7″ really has that raw, dirty sound of 70s/80s New York, the one that makes you want to write LAMF all around. This 7″ is the first one of a single series by the band, great start!/Laurent C.